Preparation: Dilute to 1X in deionized water or PBS (e.g. 1mL 10X blocking buffer + 9mL water/PBS). Diluting in PBS instead of water makes a somewhat more stringent blocking buffer due to the presence of salt in the PBS. Blocking Buffer is pH 7.5. The user should determine empirically whether dilution in water or PBS is most appropriate for the assay at hand. Use diluted block solution promptly. The diluted block solution can be stored at 4C for short periods of time. Shelf life for the 10X stock is 1 year. Store at Room Temperature. Store at +4°C. Our Abpromise guarantee covers the use of ab126587 in the following tested applications. In-Cell ELISA Use at an assay dependent concentration. Secondary: Goat polyclonal to Rabbit IgG – H&L – Pre-Adsorbed (HRP) and Goat polyclonal to Mouse IgG – H&L – Pre-Adsorbed (HRP) at 1:10,000 developed using the ECL technique. Publishing research using ab126587? Please let us know so that we can cite the reference in this datasheet. Is there BSA in this product? The the lab has confirmed this blocking solution is casein based with no BSA, so it may be an option for your ELISA if this is a concern for you. can this buffer also be diluted with TBS? Yes – in our experience, as with PBS, the extra salt in TBS will make a more stringent block/ prevent non specific binding. Customer kindly contacted us regarding our 10X blocking buffer ab126587. 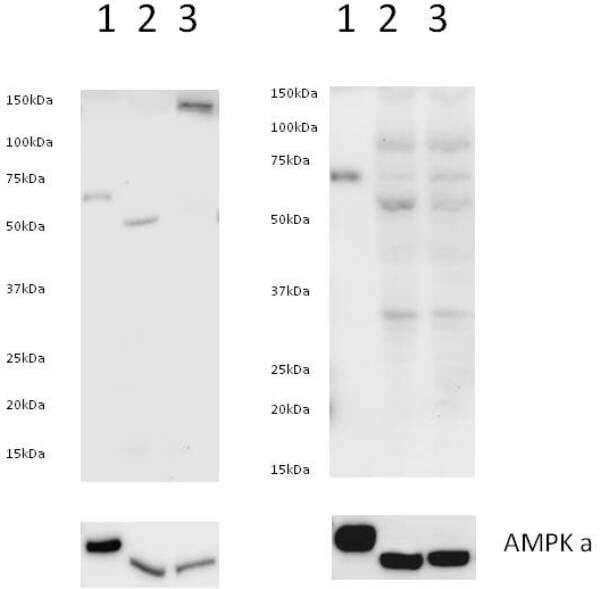 Specifically whether this is the buffer present in kit ab111542 and the %casein in the blocking solution. Additionally, the customer was wondering what the composition of the blocking buffer in ab126420 is. 1. ab126420, the components of the blocking buffer are proprietary, and the solution is a standard blocking solution. 2. ab111542: The blocking solution in the kit is the same as the 10X blocking solution sold separately (ab126587). It is casein based and the % of casein is proprietary. I ordered ab135575 and want to do ICC/IF as shown on website and antibody literature (with HEK293). What did you use to block? Since this is an albumin antibody, I don't think 1%BSA or serum is appropriate. Thank you.